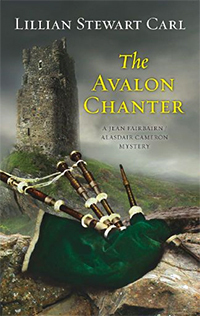 The Jean Fairbairn/Alasdair Cameron series, a cross-genre (mystery, romance, paranormal) series featuring Michael and Rebecca Campbell-Reid from Ashes to Ashes and Dust to Dust in cameo roles. A grave mistake . . .
Small Farnaby Island lies just beyond the holy isle of Lindisfarne, off the coast of Northumberland. Farnaby-born archaeologist Maggie Lauder has personal reasons for trying to prove the island is the Avalon of Arthurian legend. 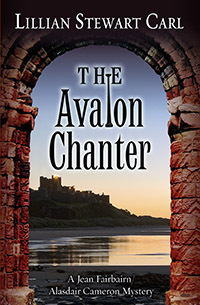 When she opens a tomb in a medieval chantry chapel, she plans to cause headlines. And cause headlines she does, for all the wrong reasons. The story that Jean Fairbairn planned to write about Maggie’s historic discovery is shadowed by a contemporary investigation. Her husband, Scottish ex-cop Alasdair Cameron, discovers he has a history with the investigating detective—if not as long a history as Maggie does. But does history trace a direct line from past to present? Or is it interlaced like the patterns decorating the Lindisfarne Gospels, generations of men and women weaving destiny with desire? Jean and Alasdair are stranded on Farnaby, caught in the conflicting loyalties of its inhabitants, in memories lost and secrets laid bare. They can trust only each other—or so they think, until they find themselves on opposite sides of a cold case turned scorching hot. And yet there is more to mystery than murder. Northumbria, caught between England and Scotland. Battlefield of Celts, of Angles and Saxons, of Vikings, of pagans and Christians. The uncertain sea-strand where past meets present, where history becomes legend, where this world fades into the next. Corpse-candles illuminate an ancient priory. Bagpipers play laments on their chanters. Ghostly plainchant echoes in the dense sea fog. --Carl Brookins, Buried Under Books. “They’re good,” Jean temporized . . .
Alasdair slowed the car. His hint of a frown, Jean estimated, commented on their location, not their conversation. “That I do,” he said with a sigh. “I’m wishing we knew where we were going just now.” He peered over the weathered stone wall hemming in the strip of blacktop that passed for a road. The hills weren’t so much rolling as twitching, with sudden screes and narrow gullies sprouting bristly shrubs, lumpy grass, and the occasional sheep. And the ruins of farms long gone. “If it’s a no-go? Not when it’s a no-go?” He sped up again. Alasdair muttered something about English roads—or perhaps about England, period. Stopping at a crossroad, Alasdair considered both directions, said “Right!”, and turned left. “Gratuitous Passenger Speech,” stated Alasdair. “Yes, dear,” she replied. Funny how his remark provoked an indulgent smile, not resentment. They were settling into married bliss, a little give, a little take, a trim of the sails here, a solid push-back there. They’d learned from their first marriages. They were determined to have learned from them. Jean forced the map into a bulging rectangle, tossed it into the back seat, and once again inspected the hills outside the window. They were smoothing out, calming down. There lay an inhabited farm, and beyond it, rising from the horizon, the massive rotating blades of several wind turbines. In the tender light of the April afternoon they looked like alien spaceships. “Well then. Ancroft. Civilization of a sort.” Alasdair slowed to a decorous crawl through the photogenic village, but not slow enough for Jean to fully appreciate the church, part house of worship, part fortress. “Yes, dear,” Alasdair said with an indulgent smile of his own. Between a break in the hills glinted the sea. The road traced a tight curve, like a thread of interlace design on the Lindisfarne Gospels, and came to a stop at the wide tarmac of the A1. Traffic sped by, seeming almost as alien as the wind farm. Jean winced as Alasdair swung into a right turn, across traffic—over a year in the UK and her instincts still defaulted to the American side of the road. Then she widened her eyes to watch for signs. Within moments she spotted one indicating the village of Beal and the causeway crossing to Lindisfarne, the Holy Island itself. Waiting cars were backed up almost to the highway. Wasting no words on the obvious, Alasdair parked the car, leaped out, opened the boot and extracted their bags. They were heading for the ferry, their suitcases jolting behind them, by the time it scraped against the pier’s weedy stones. Above the smooth lower flanks of the boat, a metal panel walled off a flat deck like a mini-aircraft carrier’s. As the rumble of the engine changed tones, the rusty metal sheet creaked, gaped, and then with a mighty squeal and clang unfolded onto the dock. You could only bring a vehicle to Farnaby Island with special permission. Jean had been anticipating stepping off a curb or two and not looking either way, let alone both, an indulgence that would be suicidal in Edinburgh. But no one brought any vehicles away from Farnaby, either—not one rolled off the ferry. Several men and women surged over the now almost-horizontal metal panel, up the dock, and into the parking lot. Jean detected not a smile among them, even at finding their paths clear to happy hour at the closest pub. The sea was calm, only small waves tripping and falling onto the beach beyond the pier, so they couldn’t be seasick. Or not all of them could be seasick, although one or two might have a stomach as delicate as that of Jean’s friend and professional partner at Great Scot, Miranda Capaldi, who would get queasy in a hot tub. Every one of the tight-lipped departing passengers held some sort of electronic slave—a smartphone, a laptop, a tablet. One man whose prison pallor, colorless hair, and sagging physique indicated long years of hunching over electronic slaves used his iPad to photograph Lindisfarne and its shadow, Farnaby. Jean sensed her brethren and sistren from the fourth estate. So did Alasdair. “Your lot,” he said from the corner of his mouth. “Farnaby,” said the reporter. “Loony Lauder. Better you than me, luv. Much better.” He strolled toward the parked cars, so focused on his tablet Jean figured he only knew she was female from her voice. She hustled on down to the dock, telling herself the man must work for a tabloid. He was probably texting the office in a plea not for hazard but for boredom pay—no dead body and any living ones having nothing to do with celebrities such as, say, Princess Kate, as many Americans called her. But if not for the honorary “Duchess of Cambridge,” her name would be Princess William, counterintuitive as that sounded. A princess by marriage. Past a battered, out-of-style phone booth—a direct connection to ferry HQ on the island, Jean suspected—and a garishly red life preserver like a huge cherry, well, Life Saver, and she reached the end of the metal gangplank. Alasdair left their bags standing on the deck of the boat and stepped back to seize her elbow and steady her up the slope of the surface. “Thanks,” she said, the final sibilant concealed by the squeal of the rising gangplank. Alasdair reached into his pocket before Jean could bring her mini-backpack around. “Locals ride for free, do they?” he asked. Alasdair’s neutral expression crackled with frost. So close to the Border, and he was already hearing Scots jokes. An older, rather shrunken version of the young man emerged from a superstructure that appeared to be bridge, crew quarters, and passenger waiting room all in one. With his jacket and peaked cap, to say nothing of the gray stubble on the lower half of his weather-beaten face, he had to be both captain and father. “Lance” was short for Lancelot, Jean assumed, an appropriate name for someone probably born and bred in sight of Bamburgh Castle. “She opened the grave and found nothing?” asked Alasdair. “I’ve been to Lindisfarne a couple of times, but never to Farnaby.” She didn’t add that if Maggie Lauder’s hypothesis held up, Clyde and Lance could see a surge in business. Although what Jean often saw were metaphorical castles in the air crashing down, undermined by reality. She’d been responsible for more than a little undermining herself. “That clock keeps right on ticking,” Jean murmured. Jean grinned at that and glanced at Alasdair, who shrugged agreement. Clyde seemed happy to cut Maggie Lauder slack. The reporter in the car park and his colleagues would not. The boat lurched, hitting the slow swell of the sea. Simultaneously Alasdair and Jean spun toward and down onto a bench beside the railing. Lance, unsurprisingly much more sure of foot, ambled away across the expanse of deck. His tanned face and blue eyes beneath a mane of flaxen hair made him look like a throwback to his Viking forebears. All he needed was a horned helmet and berserker’s sword. “The Ecclestons have likely lived on Farnaby for generations,” Alasdair said. Lance avoided a rusty, muddy puddle only to step in proof that the ferry also transported cows and sheep. Alasdair’s eyes crinkled in mingled sympathy and entertainment. Lance strolled back by, whistling the old folk tune “Maggie Lauder.” Wha wadna be in love wi’ bonnie Maggie Lauder? Funny how he brought a sarcastic tone to a simple whistle. But then, Jean knew the words. For I’m a piper to my trade; My name is Rob the Ranter: The lasses loup as they were daft, When I blaw up my chanter . . . It said something about her louping, or leaping, brain cells that she always read a double meaning into the story of Maggie, dancing madly as the piper plied his chanter—the clarinet-like part of the bagpipes on which the tune was actually played. The business end, so to speak. “I’m sure the poor woman’s heard every possible joke about her name,” she told Alasdair. “A shame her parents couldn’t resist. Wat wasn’t even a piper, but played the fiddle and guitar like Hugh. I wasn’t really familiar with Gallowglass until last year . . .” She let the sentence die away, remembering the circumstances under which she’d gotten to know Gallowglass. Not that she had any evidence to speculate with right now. Had Maggie gone out on an inferential limb, only to find some source that snapped it off at the last minute? She could have saved more face—and less media criticism—by opening an empty grave than by turning uncooperative. Waves dashed against the sides of the boat and a fine spray of sea water flecked Jean’s glasses. 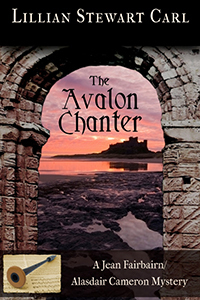 Through them she saw Lindisfarne seeming to rise and fall on the horizon, a low green land spiked at one end with the rooftops of the village, the broken arches of the medieval priory, and the small but pronounced protuberance of the castle. Farnaby Priory was the stepsister of the famous monastery on Lindisfarne, first established by the Irish Saint Aidan and Anglo-Saxon King Oswald in the seventh century. Farnaby had been a nunnery, women only, rather than a mixed house in Celtic fashion like the one at nearby Coldingham, ruled by an abbess. But that sort of equality and siblinghood had been stamped out by the Roman church early on, even before Viking sails appeared on the horizon and Viking warriors stamped out more than religious custom. By the time William the Conqueror’s Norman knights moved into the area in the eleventh century, little was left of the original priories. Beyond Lindisfarne, the smaller and yet taller profile of Farnaby materialized from sun-shimmer on the sea, little more than a mirage, a floating island momentarily tethered near the shore of Northumbria. If not for the low rays of the westering sun picking out a rocky headland above a frill of white breakers, it would be invisible. Like mythic Avalon, Jean thought, where grieving queens carried the mortally wounded Arthur—Wat had been mortally wounded when he came home to Farnaby . . .
An electronic deedle broke into Jean’s reverie. A ringtone, but not hers or Alasdair’s. At the far railing, Lance pulled a cell phone from his pocket. “I’m working now, I can’t . . . Yeh, last run of the day . . . Likely so, aye, not much else doing of an evening . . . I’ll buy my own pints, thanks just the same . . . See you there, then . . . Must run, bye.” He stabbed at the phone and jammed it into his pocket with a scowl of frustration. Hmm, Jean thought. What red-blooded young Brit would reject a mate’s offer of a pint? The breeze was salt-fresh, slightly fishy, slightly oily, and chilly enough that Jean huddled both into her coat and closer to Alasdair. “There’s a cabin,” he said, nodding toward the superstructure. The boat bucked and wallowed and Jean fell silent, not because her stomach shimmied rather than marched, but because Lance was right about getting five pounds’ worth of scenery. Behind the boat the sun melted ever nearer to the green horizon. To their right Bamburgh Castle rose from its crag, appearing more movie set than stones and mortar. But it was no set, no castle in the air. Fortifications had risen from that hillock for two thousand years and more. No surprise some traditions named it as the home of Lancelot, knight of the Round Table and Guinevere’s adulterous lover. Bamburgh. The music school on Farnaby. Weapons and musical instruments, both very early inventions of mankind. So was adultery, but that could only have been invented—or recognized—after the creation of marriage. “The priory’s listed as privately owned, likely by Maggie herself. Still, it’s a listed building, so she’s needing permissions before digging, aye. Not getting them seems right careless for someone with that good academic reputation.” Alasdair’s head swiveled, following the course of a smallish boat cutting across the path of the ferry, the glassy sea churned to froth in its wake. Farnaby Island had resolved itself from the glare and now appeared as a long, tapering wedge of charcoal-gray rock topped with green fields. The small boat throttled back and disappeared around the headland. Seabirds blossomed from the cliff face like feathered fireworks, squawking and flapping. Some skimmed past the ferry, others spiraled upward past a small tower that could be anything from a Roman signal station to a World War II gun emplacement. “Not much call for police on Farnaby,” Lance said half to himself. His features didn’t quite crease into a frown, but the frown was imminent in its tightened lines. He added, “Loony Lauder,” as though that explained everything, and headed for the gangway. Funny, even the local people called Maggie loony. What was she up to? “Curiouser and curiouser,” Jean murmured to Alasdair, who nodded in agreement.